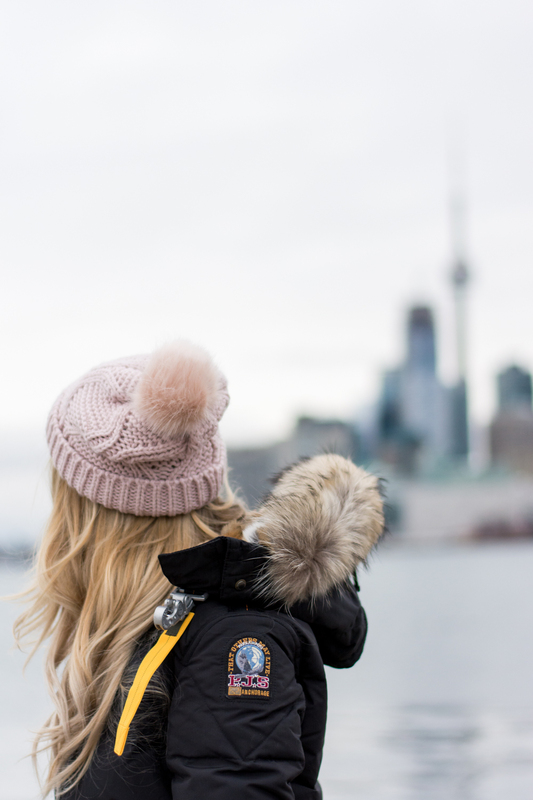 OOTD - ParaJumpers Long Bear Parka | La Petite Noob | A Toronto-Based Fashion and Lifestyle Blog. In the words of Ned Stark; "Winter is Coming." Game of Thrones references aside, there is a notable chill in the air and for us Canadians that means that parka season is near. There is nothing more important to me in the winter than finding a great jacket that not only looks sleek, but also keeps me from freezing my tushie off. My parka of choice this year is from Parajumpers. I was drawn to the brand not only for the look and functionality of their jackets, but also because of the history. The brand's designer director Massimo Rossetti found his inspiration for Parajumpers while in a bar in Alaska where he met men working in an elite military corps trained for rescue in remote locations; hence the name Parajumpers. Knowing the history of the brand and design, it all makes a lot of sense; this jacket is built to last. I chose the Long Bear model of parka for its length and style, and am very happy with my choice. I love the durability of the nylon, how plush the fur collar is and the parka's construction - nothing is getting through this baby! 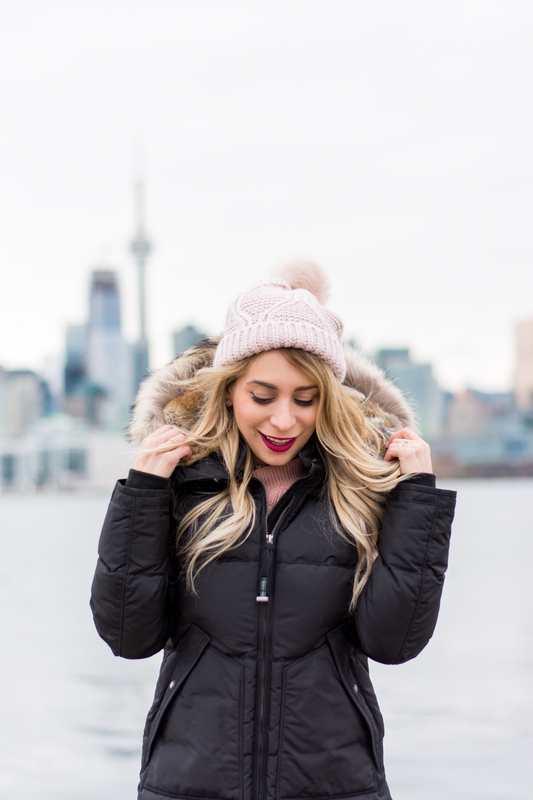 I decided to really put my new winter jacket to the test, and shoot photos by the water on a frigid day. 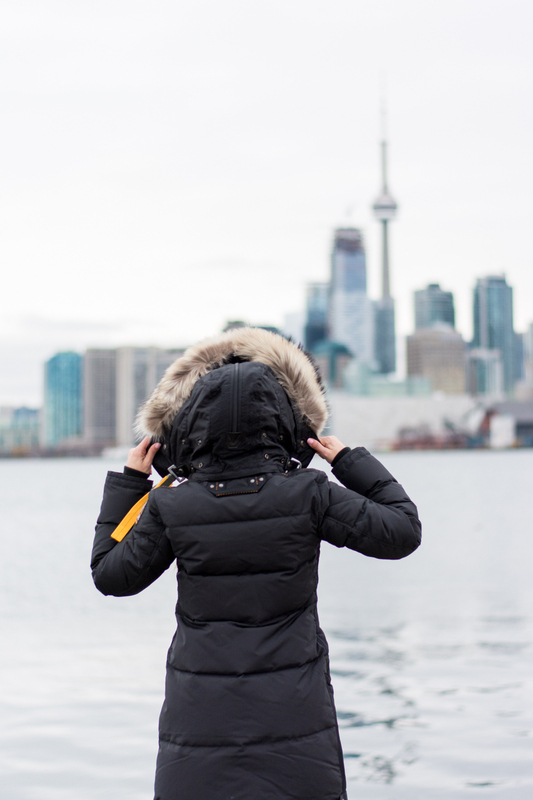 Not only was I comfortably warm on the windy dock overlooking the Toronto Skyline, but I was free enough to move around without the typical restrictions I feel when wearing a parka. Winter may be coming, but for once I'm not overly bothered by it; it's amazing how the right jacket can do that! Just a note on fit; I got my Parajumpers Long Bear jacket in a size XS and it's the perfect fit - especially in the arms. This jacket is definitely a great option for us petites! I spotted the Long Bear Parajumpers parka at Sporting Life, but they're also available at Harry Rosen, Graphic or search for a location near you here. What do you guys think? Does the right jacket make or break winter for you? What do you look for in a parka? Let me know! That coat looks so warm! And you look gorgeous, as always! Love it babe amazing as always! 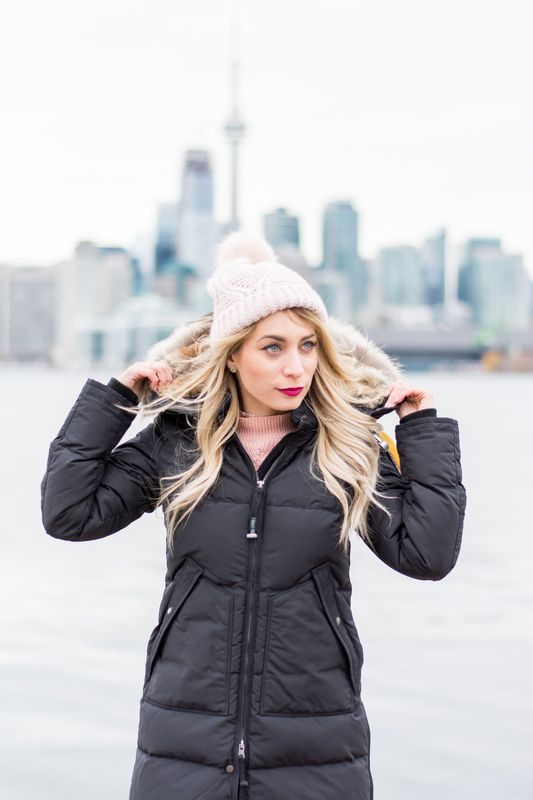 Amazing way to style this parka babe!!! It's beautiful! I'm not one for parkas but this one is really pretty. Love the photos of the skyline too!